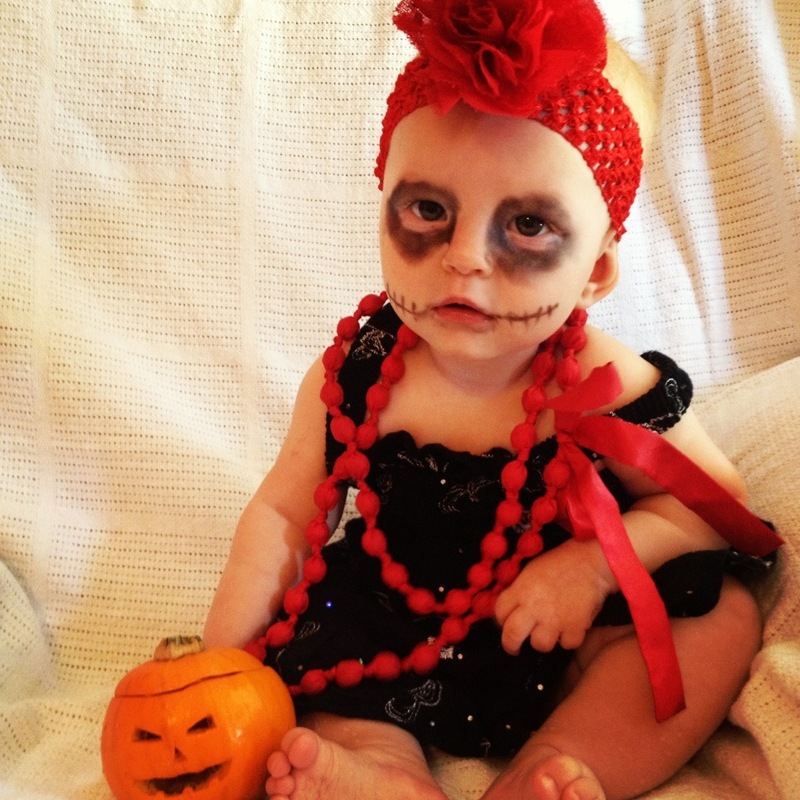 Saturday,5 April 2014; One Year and Four Days Old. Tonight was Ayla’s first birthday party! Hubby and I have been planning it for over a month, and after postponing a week due to Ayla’s sickness we were so excited that the day had finally arrived! The party itself had all the usual trimmings; party pies, sausage rolls and fairy bread, balloons, lolly bags and birthday cake, but the best bit of all was the guests! Instead of bringing presents (which some still did anyway) we asked our friends to come dressed up as their childhood hero’s. 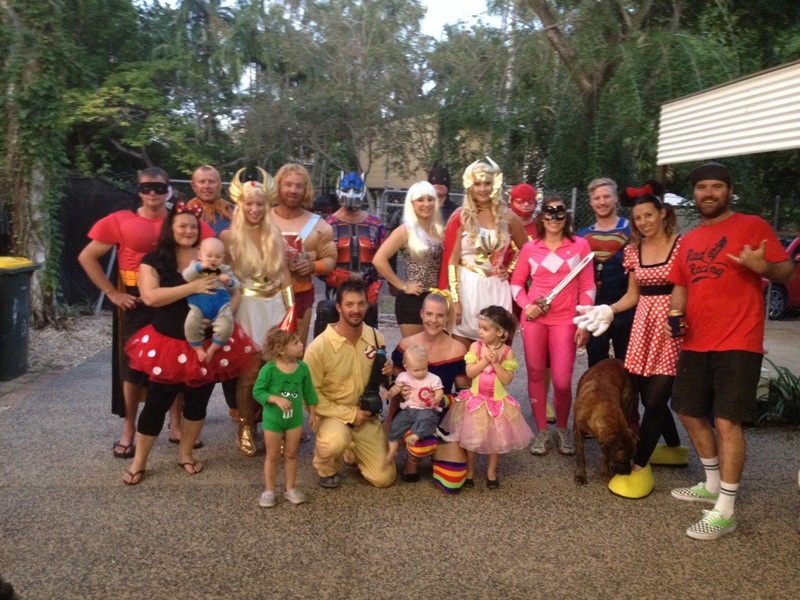 The result was a patio filled with characters from our youth including He-Man and She-Ra, Optimus Prime, Barbie, Batman, Robin, Mini-Mouse, Cru Jones, Scarecrow, The Flash, Superman and the Pink Power Ranger. 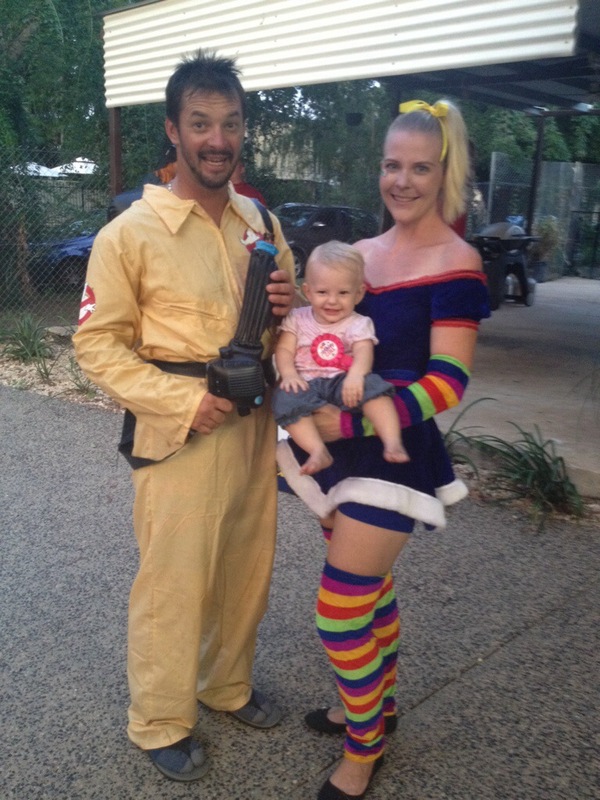 As for Hubby and I, well we dressed up as a Ghostbuster and Rainbow Brite (respectively). Another highlight was playing pass-the-parcel with the kids. Not many of our friends have kids (yet! Lol) so the game involved two little boys under one, two big girls (2 years and 3 years) and Ayla. It was super cute watching the bigger girls trying to “work the system”, and the little kids were just as happy with the novelty toys they found when they opened their layer. As the evening wore on and our friends started to say their goodbyes, it was time for one happy little Ayla to go to bed. Ayla had had a ball at her party, although at times I could see her trying to work out who all these bright, colourful, crazy looking people were! We have some fantastic photos of the occasion for Ayla to keep forever, which will ensure a few tiny pieces of the 80’s will live on!